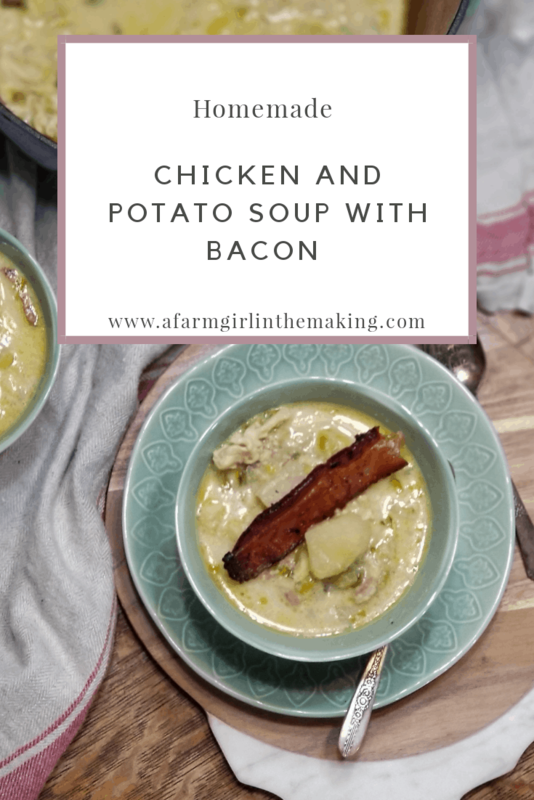 Chicken and potato soup with bacon is a deliciously hardy homemade food item. 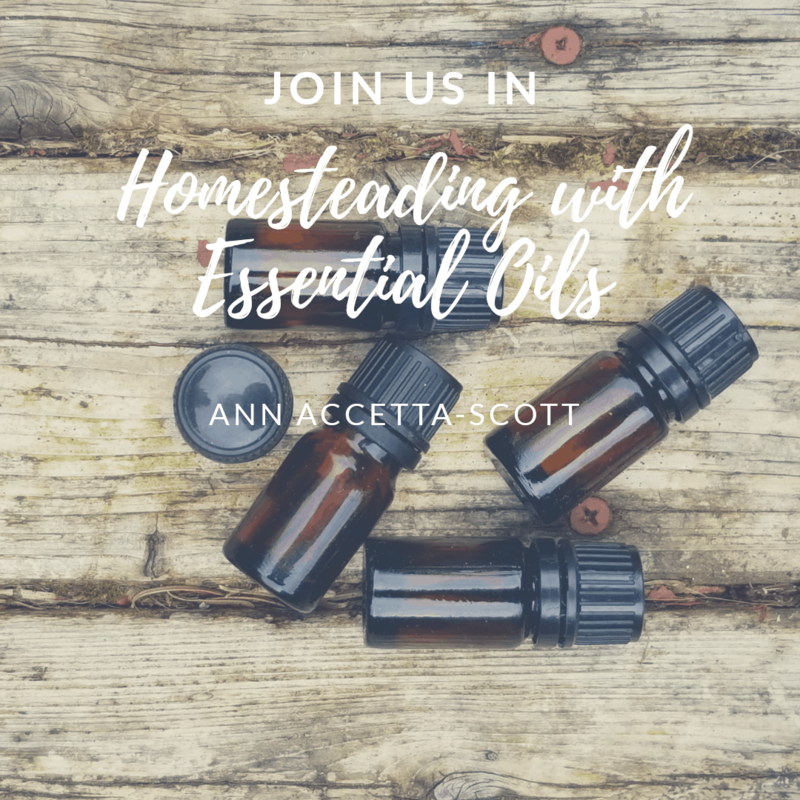 Many of the ingredients found in this recipe can be pulled from the pantry, including items which were preserved from the garden. This soup is guaranteed to warm, and fill, you during the cold winter months. 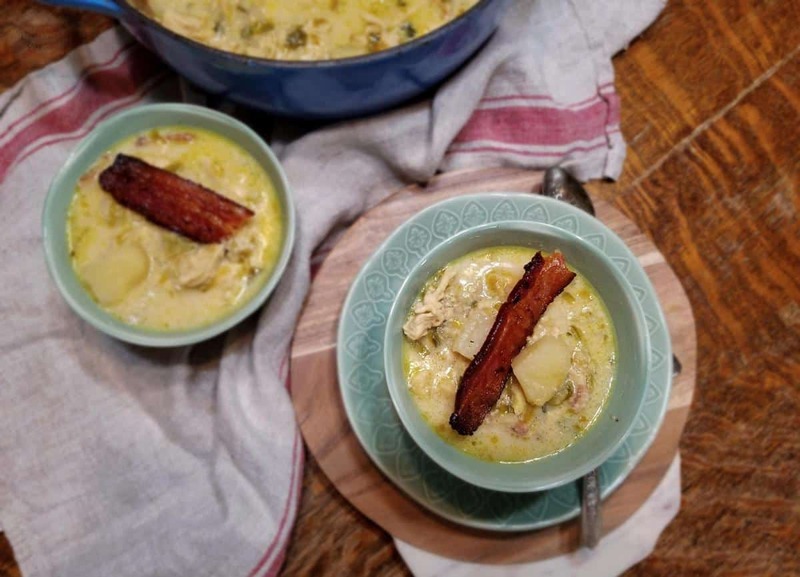 There is nothing that warms the soul quite like a warm bowl of chicken and potato soup with bacon. Though in truth, the star of this homemade soup is not the chicken. Nor is it the potatoes. And it’s most definitely not because of its creamy goodness. Bacon. It’s really about the bacon. The more of it there is, the better it tastes. Easy to make. Homemade. Fill the belly, goodness. From start to finish you’re looking at 50 minutes. 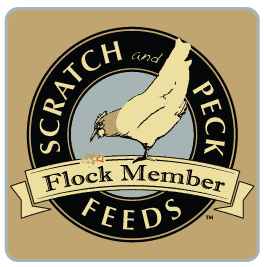 The toughest food credit will not have a thing to complain about, and more than likely will go in for seconds! 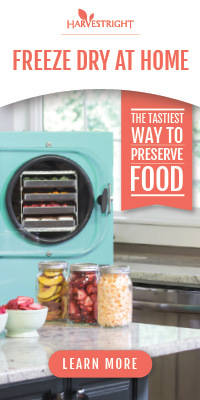 Because we preserve quite a bit from the garden a lot of the ingredients used for cooking will come from the pantry. For example, dehydrated leeks and onions. Stock is often substituted with bone both, adding a punch of healthy goodness to the dish. Chicken and potato soup partners well with homemade bread or herbed cheese crisps, maybe even a nice salad with a fresh strawberry vinairgrette dressing. But more importantly, do not forget to top the soup with crispy bacon. 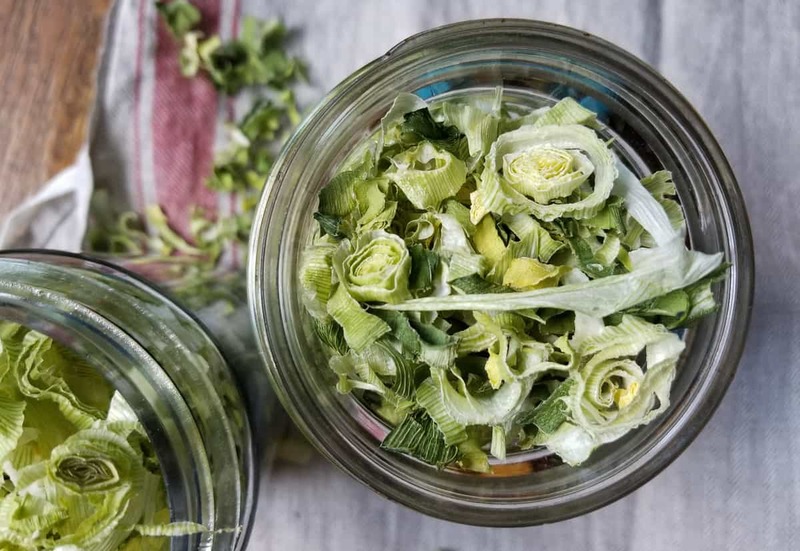 The leeks used in this recipe were dehydrated; grown in our garden and dried to be used later in the year. Please note, the ingredient list contains both preserved and fresh items. 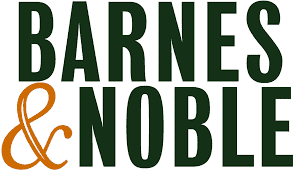 Such as, dehydrated leeks and onions and pressure canned bone broth. However, fresh items may also be used. In a large stock pot, such as an enamel cast iron Dutch oven, over medium heat melt butter. Once the butter has melted, add onions and garlic. Stir continually, cooking until slightly softened. Add chopped bacon and leeks, cooking for roughly 3 to 5 minutes. In a mixing bowl, mix flour with a small amount of stock. Mix until a smooth paste is forms. Add paste to the Dutch oven. Gently stir the paste and contents until thoroughly mixed. Pour the remaining stock into the Dutch oven, add chicken and potatoes stirring often. Bring to a boil. Lower heat to medium, cover with lid and allow to simmer for 25 minutes more. Making sure the chicken and potatoes are tender and cooked through. Add 4 tablespoons of heavy cream, allowing to cook for an 3 minutes. This printable recipe is an ideal shopping list, or file it as a family favorite meal! 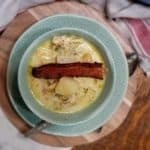 Homemade chicken and potato soup with bacon is easy to make recipe. Ingredients from the list can be pulled from items which were preserved from the summer garden, or with fresh items from the market. This chicken and potato soup is hardy, and will provide you warm on the coldest days! Not to mention, everything is better with bacon. Add 4 tablespoons of heavy cream, allowing to cook for an additional 3 minutes. 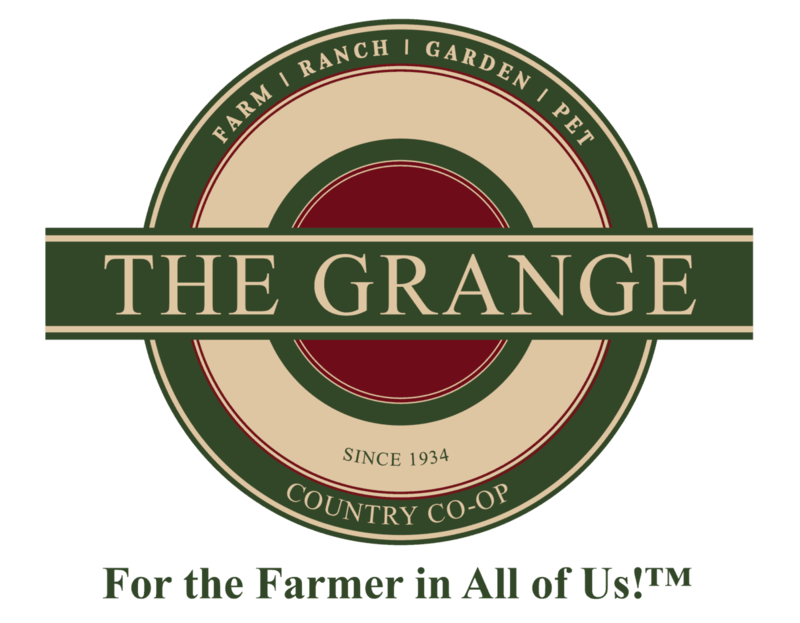 Much of the ingredients we use to cook with were raised and grown on our homestead. 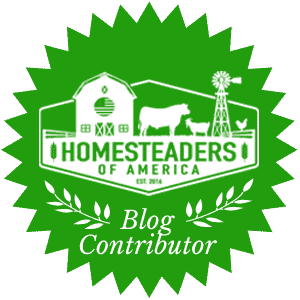 Preserving the harvest is a skill many should own, whether it is on a urban or rural homestead. 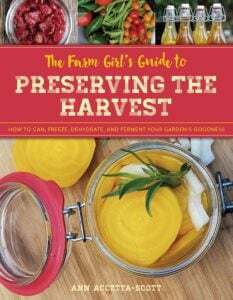 Pick up a copy of my book, The Farm Girl’s Guide to Preserving the Harvest to hone in on your skills as a home food preserver.